Experience the scenic waterways of FT. Lauderdale, with Mr. Beaches as your tour guide. Are you ready to get an amazing core conditioning workout and have fun at the same time? 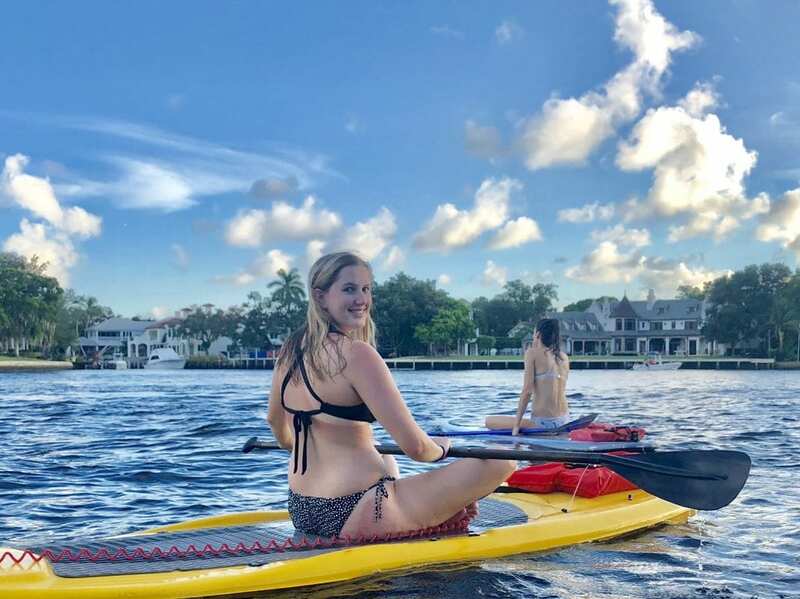 We love exploring the canals of Ft. Lauderdale by paddle board. It is our pleasure to share with you our ‘backyard’ - the most beautiful canals in America! Picturesque sunset setting throughout the tour. Mr. Beaches and Natasha will guide you on a one hour leisurely tour of the world-famous Las Olas canals. Our tours focus on the beauty surrounding us, and not your paddleboarding technique. So, feel free to stand, kneel or sit-as long as you enjoy yourself. This experience was ABSOLUTELY phenomenal!! We had a fabulous time and learned how to stand up paddle at our own pace with excellent instruction. Natasha was amazing and such a welcoming host! I would do this again any day!! Mr. Beaches is the best doggie ever. SUP PUP - yes, there is the cute corgi, Mr. Beaches who will help guide you along Natasha. I have to say, the experience was one of a kind. She went above and beyond to make sure we were comfortable and having fun. My husband and I loved, LOVED the relaxed vibe and inviting atmosphere that they set up. I would recommend this to all - THANKS NATASHA. Natasha was an amazing instructor and host. From knowing which board best suits each person to providing food and drinks after our trip, she made us feel right at home. This experience has been the highlight of our trip! Whether you’re looking to relax on the water, or get a little more exercise, this is a great choice. Natasha knows the best routes and showed us amazing scenery, homes, yachts, and our favorite- lizards! ???? To top of all off, she even took pictures of us along the way and created a video slideshow for us. We will definitely be back for more! This was above and beyond what I hoped for and if I could give ten stars I would! If you are looking for a perfect time on the water SUP-ing you NEED to do this with Natasha. She was an excellent tour guide and the food and refreshments were exactly what my girlfriends and I needed after our time out on the water. She took the time to help teach one of our friends who wasn't as experienced and by the end she was SUP-ing like a pro. I will definitely be coming back to do this again the next time I am in Ft. Lauderdale and highly recommend anyone going on this experience! 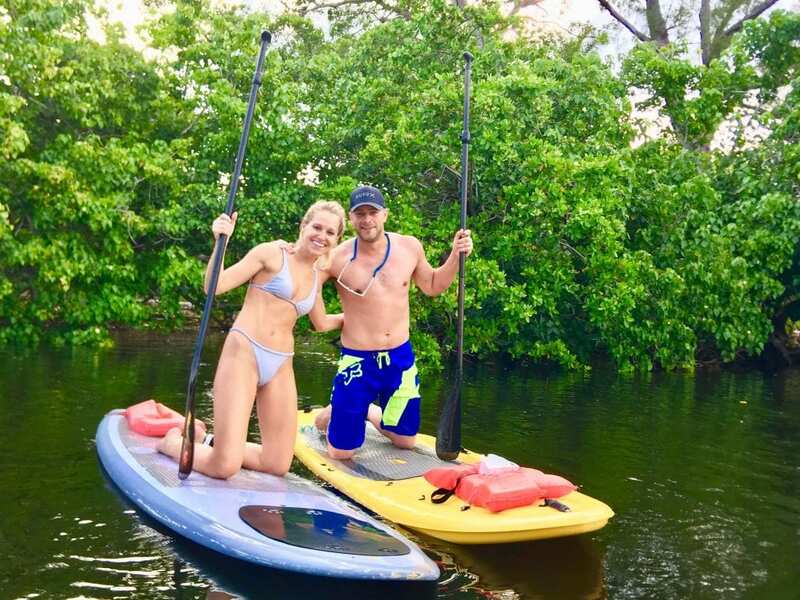 Paddle boarding with Natasha and Mr. Beaches was awesome! Natasha and Sam were perfect hosts that went above and beyond. They really spoiled me with mimosas, 2 hrs of paddling (while Natasha took lots of photos with me and her adorable corgi) and they even offered me burgers when we got back! The paddle boards were great and Natasha made sure I knew exactly how to paddle the correct way. She even brought music which was so nice to relax too while watching the scenery go by. It was super chill and there was no pressure on time which was nice because I was killing time while I waited for a flight. We were very lucky to have a beautiful day. Las Olas canals are beautiful and there is plenty to see from yachts to mansions. I would highly recommend you try this experience! Thanks again Natasha and Sam! Natasha’s tour was amazing! She’s an exceptional host and even treated us to some morning mimosa’s before we headed out on our paddle board tour. The tour is a great little workout that combines some fun in the sun and sightseeing in the isles. My party of 4 were all beginners and Natasha showed us some basic techniques that had us in the water and paddling away in no time. Highly recommended! FOLLOW SUP PUP ON INSTAGRAM! 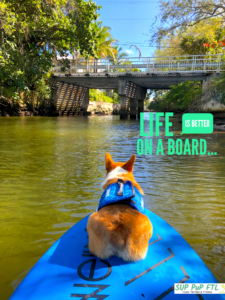 Check out SUP PuP FTL's memories on Instagram.